He feared no one…but himself. 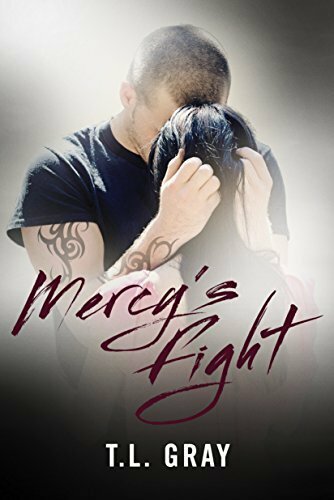 Recovering from a past shaped by violence, Matt Holloway has sworn to live a different life than his parents did. Matt has found a purpose that keeps his lingering pain and fear at bay: helping others to heal. Yet the nightmares continue to haunt him. Grace has lived a life of luxury, sheltered by her family’s money and connections. When a betrayal forces her to question everything, she leaves her family and accepts an ambitious position in a career for which she may not be ready. When the two first meet, they cannot deny their instant, intense attraction. While Grace is willing to take another risk with her heart, Matt remains chained by his past and struggles to trust their future together. 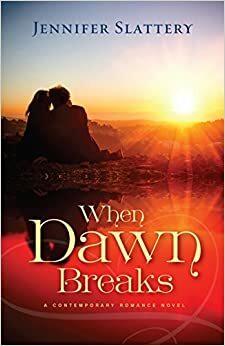 Fighting to save the children they’ve pledged to help, Matt and Grace must learn to overcome the pain in their past and find their true courage. I’m really enjoying this novel (review to come soon!) and am super excited to have stumbled across a new Christian NA author. I just really like romance novels that are contemporary and geared towards a younger adult crowd. With that in mind, though I may not be able to read and review every author, does anyone have any recommendations for me? I would love to try someone new in the hopes of being an encouragement to them as a reviewer! Conor and Aine have barely escaped Seare with their lives. Conor knows he must return to find the harp that could end the Red Druid’s reign of terror, but in the midst of their escape, he and Aine are torn apart once more. 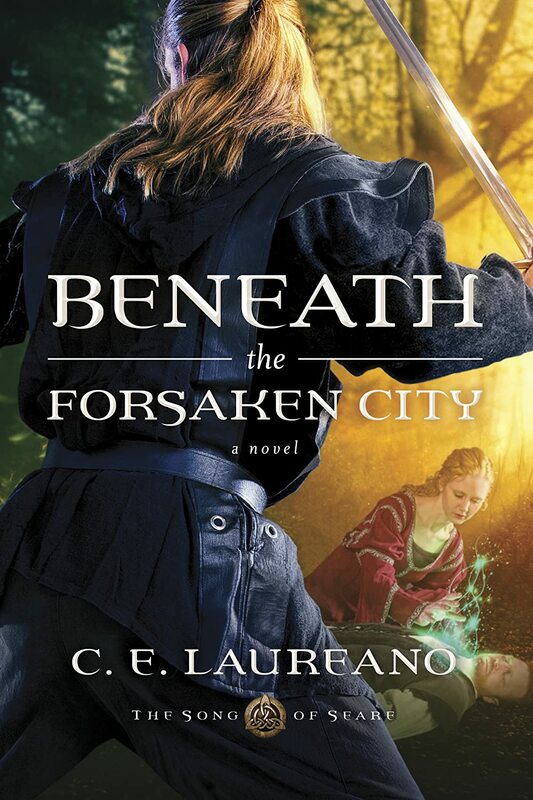 Surrounded by despair and thrown into as much danger as they left behind, Conor and Aine must cling to the whispers of Comdiu’s plans for them and the homeland that depends on their survival. But at what cost? Will they learn to depend on Comdiu completely? Or will they give up hope? Questionable parentage. Except this time it’s not Connor, it’s Eoghan. I really liked Eoghan from the first book and so when I saw that we were in his head some of the time, I was glad. I like his strength, his character, his honor and his loyalty. And I also liked that he is more than what appears to the eye. You learn a LOT about where Eoghan comes from. And I can’t wait to learn about more. I will say, though, that I want Eoghan to have a fairytale romance, so in the romance department I was a bit disappointed ( a bit more on this later). Biblical allegory. I think the author does a very good job of matching our concept of Christianity with the characters concept of being a Balian. It’s slightly different, but it’s the same. And the theme of this book is trusting God in the now, even when you don’t see how it could possibly work out. Sword-fighting. There is a ton of sword-fighting. The battle is not over, in fact in many ways it has just begun. Characters. I enjoyed being in everyone’s “head.” Usually with fantasy, I don’t like different points of view. Not so here. The characters, all of them, are crafted so well, I had no issue with changes in the povs. And I really liked the new characters introduced (especially the little kid fighters!). Let me just give a disclaimer, I really enjoyed this book. It managed to completely pull me in and make me involved in the characters, but I also had a couple of issues with it. Spiritual theme. Okay, the theme was trusting God and I take no issue with that at all. However, I will say, that it appeared like God was playing games with them just to make sure they trusted him, but then again, this may be linked to the fact that some of the areas they didn’t trust God in were the same as the first book and so, it felt a bit repetitive. Unique magic system. It seemed like for one of the characters, they’re “gifts” just kept constantly growing. It kind of felt like a cop out: got a problem? I’ve got a gift for that. Aine and Conor are a part for most of the book. They were a part for most of the previous book. They were beginning to lose faith in their love. I was beginning to lose faith in their love. 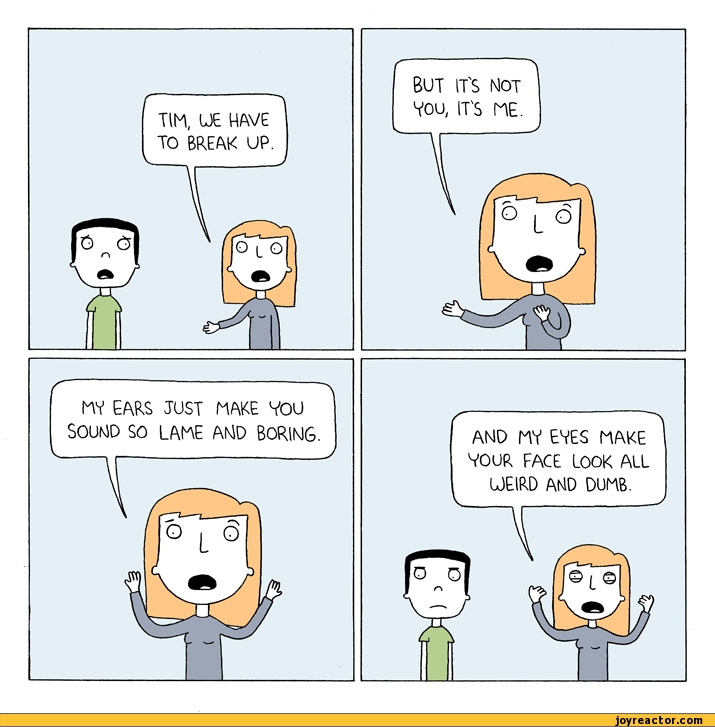 (disclaimer: no they were not talking about getting a divorce). Every male (yes, every male) was falling for Aine. There’s an explanation for this….kind of… But come on, she can’t be the only woman who serves Comdiu. Overall, it was a really good book. For some characters, however, it didn’t really feel like the story moved forward, while for others, things were hopping. I did enjoy this book and I was very much entertained. I look forward to reading book three! 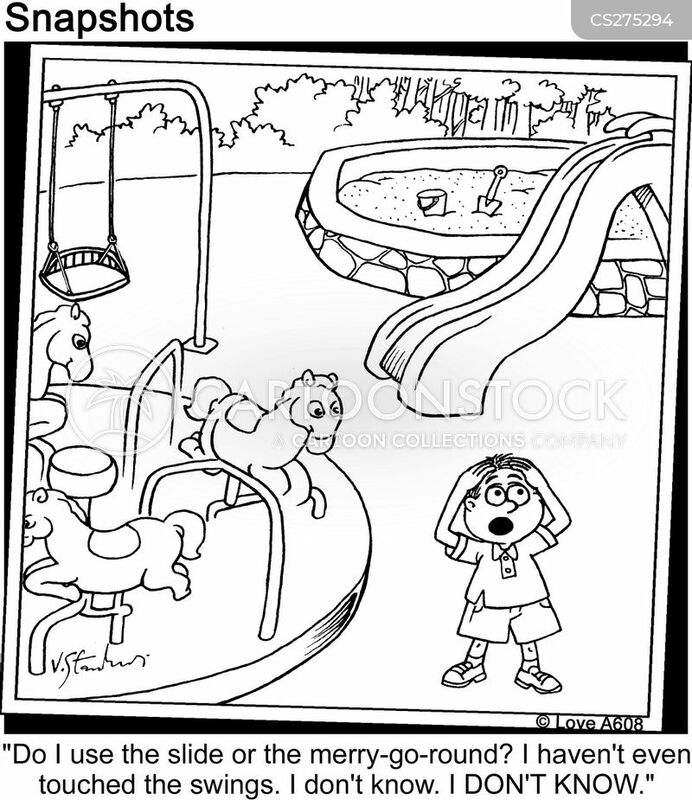 Monday Musings…What Kind of Reader are You? There are all kinds of readers in this world. Take for instance, my sister. If I tell her a book is good, she goes in blind. She doesn’t read what it’s about, she doesn’t care about the author, she doesn’t google….nothing. She just cracks open the book and read. And then there’s me. I research. I look up reviews, starting with the negative first. Who wrote the book is very important to me. And I have been known to read the last page of a novel to make sure there’s a romance. So what kind of reader are you? Do you like to go in blind? You don’t want to hear or see nothing but the words on the page? Are you the kind of reader who reads the back of a book and that’s enough for you? Do you study and research and try to make sure everything lines up before cracking open a novel? Are or you the kind of reader who has to know who dies, who marries, who comes home? What kind of reader are you? 1. Can you tell us a little bit about what inspired When Dawn Breaks? This is a bit of a complicated question as different parts of the story were inspired by different events and people. But the idea of centering a relational conflict around a hurricane that forced two people together came from my time in Louisiana during Katrina. Though we lived far enough from the storm’s touchdown to remain unaffected, our town was soon filled with storm refugees. So many people had their lives uprooted. Many lost everything, and many felt that loss for some time. As I served in relief efforts, a thought niggled: What would it be like to write a story about two people who basically hated each other and were forced, due to the storm, to live together? But then, I quickly dropped the idea and went on with life. Maybe six years later, without realizing it, I began to write a tweaked version of that initial story idea. Only this time one character, Jacqueline, was doing everything she could think of to reconnect with her daughter, who wanted little to do with this woman whom she was now housing, a woman the daughter felt had abandoned her as a child. It can be really hard to help or care for someone whom you feel wasn’t there for you when you needed it most! 2. What got you started on this writing journey? around 2009 when it became clear to me writing was what I was created to do. Since then I’ve pursued it fully without looking back. 3. If there is one thing you want your readers to take away from this novel, what would it be? That lives can change and we can be part of initiating that life change. Jennifer Slattery writes soul-stirring fiction for New Hope Publishers, a publishing house passionate about bringing God’s healing grace and truth to the hopeless. She also writes for Crosswalk.com, Internet Café Devotions, and the group blog, Faith-filled Friends. When not writing, Jennifer loves going on mall dates with her teenage daughter and coffee dates with her handsome railroader husband. Visit with Jennifer online at JenniferSlatteryLivesOutLoud. As the hurricane forces Jacqueline to evacuate, her need for purpose and restitution motivate her to head north to her estranged and embittered daughter and into the arms of a handsome new friend. However, he’s dealing with a potential conspiracy at work, one that could cost him everything, and Jacqueline isn’t sure if he will be the one she can lean on during the difficult days ahead. And then there are the three orphans to consider, especially Gavin. Must she relinquish her chance at having love again in order to be restored? Welcome to the Casa de Vida—eleven quaint bungalows located three blocks from the Pacific Ocean in tiny Seaside Village, California. Owner Liv McAlister never advertises vacancies beyond a small hand-lettered sign out front, preferring to trust that God will send the right tenant at just the right time. And He always does. Heidi Hathaway’s life has been turned upside down. After an accident leaves her injured, unable to work, and incapable of negotiating the stairs in her multilevel oceanfront condo, she leases her home and moves into a cozy little cottage in the charming garden complex where her friend Piper lives. There she finds so much more than a place to rest and recover. Piper Keyes knows Jared is not coming back from Afghanistan. After making it through the fifth anniversary of his death, she wonders if she’s at last ready to get on with life. She gingerly explores new avenues—photography, cooking, and buying her own boutique—and learns to open her heart again. The most comforting thing about living at the Casa is that the women there become each other’s mentors and confidantes, learning from their own mistakes and arriving at new, healed places in their lives. The writing. The book kind of moves at a slower pace, but the writing is so engaging, I still found myself invested in the story and wanting to know what happens next. Piper. I really liked Piper from the first book. She’s fashionable, and pretty, but she’s still hurting from the loss of her fiance in Afghanistan. I assumed the author would give her a second chance at love (and she did) and I wanted to be along for the ride. I’m glad I was. I will say that while her romance happened fast, for once, it didn’t feel fast. Heidi. The main character. Boy, does this girl go through. One thing after another seems to go wrong in her life, but it all comes together to make things right. 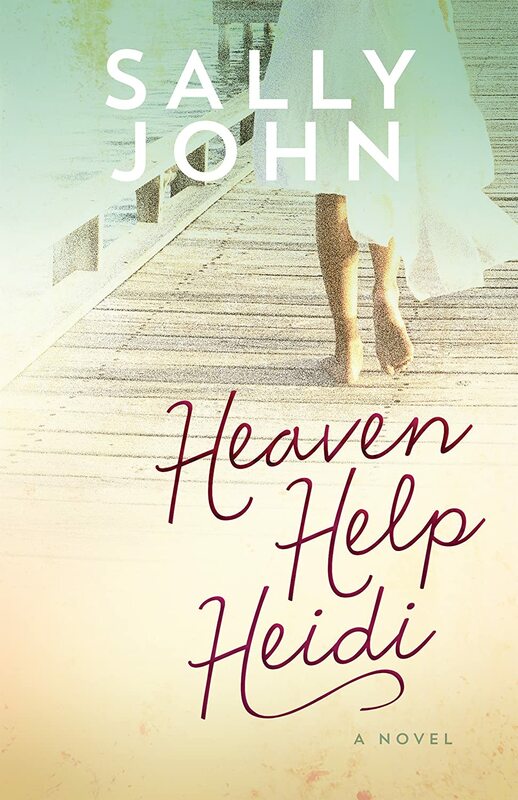 I enjoyed being in Heidi’s head and seeing how she was going to try to make it all work. Heidi has a bit of a romance of her own, and while it’s cute, I will say that Piper’s stole the show for me. Secondary characters. Everyone’s back from book one, though we learn more about Liv and her background than the others. Spiritually, and I’m not sure if this was “the” message, but the novel shows how when others live for Christ they can be Jesus to those who need him. As I said, it’s a bit of a slower read. I kept thinking that I should be on the beach somewhere reading this book. Also, because you have three narrators, you don’t get as focused on one character as you do in other books, which can be a hit or miss for some people. Overall, a very cute read and I’m looking forward to seeing who’s next to fall in love at Casa de Vida! 1. Do Not Finish (DNF). Before I blogged, I never ever ever considered such a thing. In college, I worked for minimum wage at the library and every two weeks I would take some of that check and go straight to the book store. My motto went something like this: if I paid hard earned money for you, I’m going to read you. So…yeah…I’ve got quite a few books on my bookshelf that I cannot remember a single thing about except that I did not like them. I did no one any favors except waste my time. Now, however, if I wasn’t asked to review it, I’ve got no problems tossing a book to the side. 2. Skim. This is another thing I did not do before blogging. I used to pride myself on reading every painful word. But now, I only skim if a) the book has lots of description or b) I was asked to review so I can’t DNF it. 3. Give it time. I’m a strong believer that the author can have you within the first few chapters, but sometimes a book just needs time. I’ve found that this policy works often with fantasy/sci-fi books. Sometimes they start off a bit cumbersome, but then a catalyst happens and they become easier to follow. But there usually has to be a catalyst about 25% in…. 4. Read it anyway. If it’s a classic, it’s worth it (if only for bragging rights lol)…If it’s not a classic, you may still leave the book learning something and so it’s not a complete waste. What do you do when you come across a boring book? Day 14: It should have been the beginning . . .
All she needed were stamps and signatures. Marie and her translator stood in the government offices in Kabul, Afghanistan to complete the paperwork for her new literacy project. The women in her home town, the northern village of Shehktan, would learn to read. But a spattering of gun shots exploded and an aid worker crumpled. Executed. On the streets of Kabul. Just blocks from the guesthouse. Sending shockwaves through the community. The foreign personnel assessed their options and some, including Marie’s closest friend, Carolyn, chose to leave the country. Marie and others faced the cost and elected to press forward. But the execution of the lone aid worker was just the beginning. When she returned home to her Afghan friends in Shehktan to begin classes, she felt eyes watching her, piercing through her scarf as she walked the streets lined in mud brick walls. And in the end . . . It took only 14 days for her project, her Afghan home, her community-all of it-to evaporate in an eruption of dust, grief, and loss. Betrayed by someone she trusted. Caught in a feud she knew nothing about, and having loved people on both sides, Marie struggled for the answer: How could God be present here, working here, in the soul of Afghanistan? I picked up this novel because I love to learn about different cultures and different people and on this hand, this book did not disappoint. You hear one thing from the media about Afghanistan, but it’s quite another country from the point of view of someone who lived there and loved it. You learn about how the greet each other, the sayings Afghanis say for different events in their lives, just how involved the Muslim religion is there. You can barely go two steps without having to say or do something in regards to Allah. Because Maria is a woman, I learned more about life of an Afghan from a female perspective and it was fascinating. 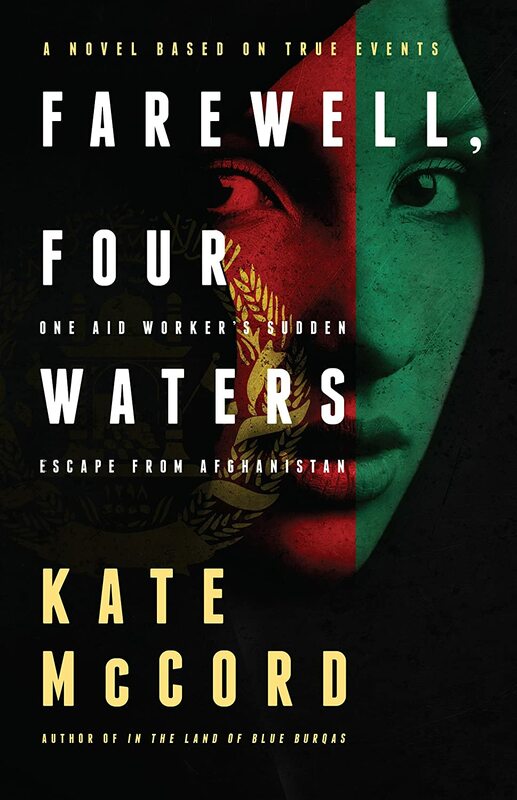 This novel also taught me a thing or two about trying to witness in a country like Afghanistan. Guess what? It’s hard. I think to be an effective missionary, you have to be like Maria and really learn the culture and the people and more importantly, love them. Several times, Maria was able to effectively insert the teaching of the gospel in her conversations. She rarely seemed fearful and trusted that God would take care of it all. If I treated this novel as nonfiction, then I didn’t really have complaints. But as a work of fiction, I had a hard time connecting with Maria. I felt like I was on the outside looking in. And though everything happened in two weeks, there were many moments where things just slowed down and it wasn’t until I was at the end that I was like, wait a minute, it’s only been two weeks. So I say to you, this novel is not exactly plot driven or character driven, but you will learn a lot about being a missionary in a foreign country. And I must say, my hats off to them (or rather my prayers with them).